Our movements need more images! Social justice organizers have a wide visual vocabulary of protest — raised fists, barbed wire, marchers holding placards — but should we not also depict the world we are building in addition to the forces we’re resisting? How can we communicate concepts we hold dear; concepts like beloved community, allyship, and consent? 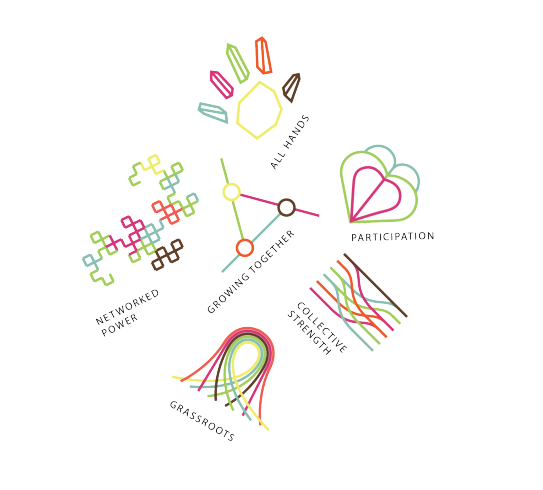 The Vision Archive brings together designers, artists, advocates, and community organizers to co-create images for the world we want to build. Visionarchive.io is a Github for visionary social justice images, allowing users to upload images so other users can download and remix them and upload their new creations. We are excited to host a panel of experts this Wednesday, talking about strategies for making the Internet more gender-inclusive and countering online harassment and abuse. These are experts and practitioners in law, journalism and technology with an interest in the problem of online harassment. And more importantly, they’re all involved with ongoing concrete approaches to push back against this problem (see, for example, Activate Your Squad and Block Together). 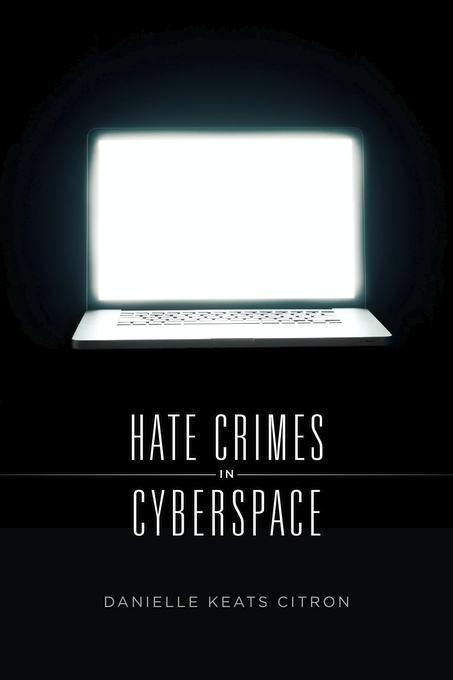 While raising awareness about online harassment and understanding the causes and implications remains important, we have reached the point where we can work on direct countermeasures. And then the headlines. “We Really Don’t Know What We’re Saying When We Use Emoji,” a normally level-headed Quartz proclaimed. 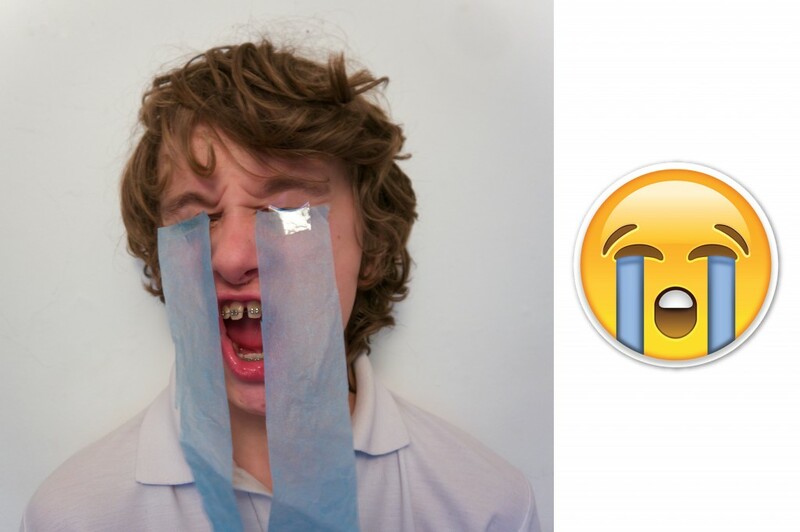 “That Emoji Does Not Mean What You Think It Means,” Gizmodo declared. “If Emoji Are the Future of Communication Then We’re Screwed,” New York Magazine cried, obviously not trying to get anyone to click on its headline. I’ve been working on a research project about counter-harassment projects in Twitter, where I’ve been focusing on blockbots (or bot-based collective blocklists) in Twitter. Blockbots are a different way of responding to online harassment, representing a more decentralized alternative to the standard practice of moderation — typically, a site’s staff has to go through their own process to definitively decide what accounts should be suspended from the entire site. I’m excited to announce that my first paper on this topic will soon be published in Information, Communication, and Society (the PDF on my website and the publisher’s version). This post is a summary of that article and some thoughts about future work in this area. 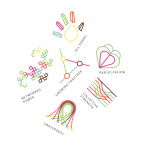 The paper is based on my empirical research on this topic, but it takes a more theoretical and conceptual approach given how novel these projects are. I give an overview of what blockbots are, the context in which they have emerged, and the issues that they raise about how social networking sites are to be governed and moderated with computational tools. I think there is room for much future research on this topic, and I hope to see more work on this topic from a variety of disciplines and methods. Blockbots are automated software agents developed and used by independent, volunteer users of Twitter, who have developed their own social-computational tools to help moderate their own experiences on Twitter. 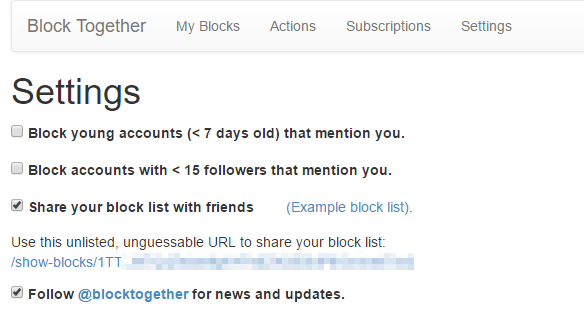 The blocktogether.org interface, which lets people subscribe to other people’s blocklists, publish their own blocklists, and automatically block certain kinds of accounts. Startup Policy Lab is leading a multi-disciplinary initiative to create a model policy and framework for municipal drone use. A city’s Recreation and Parks Department (“Parks Dept.”) wants to use a drone to monitor the state of its public parks for maintenance purposes, such as proactive tree trimming prior to heavy seasonal winds, vegetation pruning around walking paths, and any directional or turbidity changes in water flows. For most parks, this would amount to twice-daily flights of approximately 15–30 minutes each. The flight video would then be reviewed, processed, and stored by the Parks Dept. Significant policy questions have arisen from the nascent but rapidly increasing adoption of drones in society today. The developing drone ecosystem is a prime example of how law and policy must evolve with and respond to emerging technology, in order for society to thrive while still preserving its normative values. Privacy has quickly become a vital issue in the debate over acceptable drone use by government municipalities. In some instances, privacy concerns over the increased potential for government surveillance have even led to wholesale bans on the use of drones by municipalities. Let me clear. This is a misguided approach. Without a doubt, emerging drone technology is rapidly increasing the potential ability of government to engage in surveillance, both intentionally and unintentionally, and therefore to intrude on the privacy of its citizenry. And likewise, it’s also absolutely true that applying traditional privacy principles—such as notice, consent, and choice—has proven incredibly challenging in the drone space. For the record, these are legitimate and serious concerns. Yet even under exceptionally strong constructions of modern privacy rights, including those enhanced protections afforded under state constitutions such as California’s, an indiscriminate municipal drone ban makes little long-term sense. A wholesale ban cuts off municipal modernization and the many potential benefits of municipal drone use—for instance, decreased costs and increased frequency of monitoring for the maintenance of public parks, docks, and bridges. 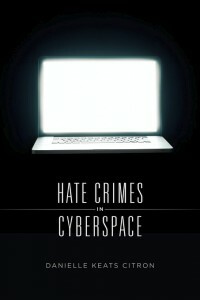 Key to maintaining free expression on the Internet is understanding and responding to the hate, harassment and abuse that the communications network also delivers. This challenge isn’t new, but it has become more apparent recently. Responses to descriptions of the problem or how to handle it often prove the need for this kind of work.